Embrace or fear it, the Internet of Things is on its way, and it’s set to revolutionise our lives. 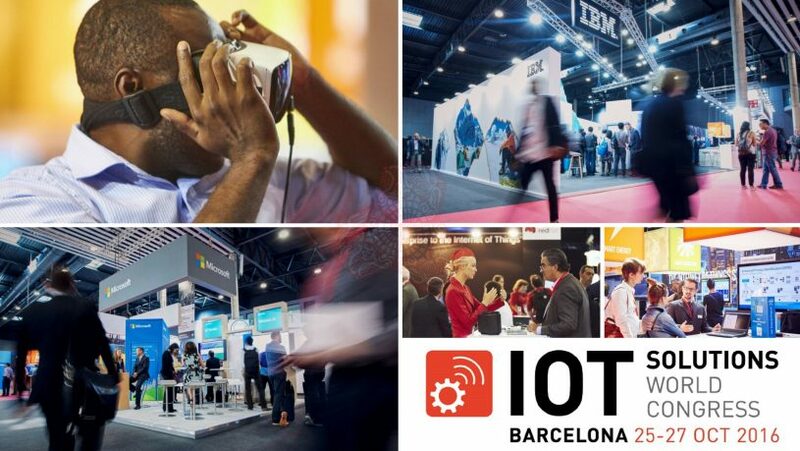 Barcelona’s IoT World Congress 2016 is an incredible opportunity to be at the forefront of this latest technological sea of change. Learn how the IoT is already impacting your sector, listen to visionary thought-leaders and network with fellow professionals. What is the IoT Solutions World Congress? The IoT Solutions World Congress is the most exciting event of its kind, gathering dozens of global industry and technology experts in one venue. With demonstrations, seminars, presentations and exhibits, tech gurus and top companies will discuss how the Internet of Things is already transforming lives, and what the future holds. After the success of the inaugural World Congress in 2015, this year’s event will be on a considerably larger scale. Held over three days, and occupying 14,000m2 of exhibition space, the congress will be host to over 160 companies. The organisers are anticipating in excess of 8,000 visitors. The congress takes place on 25th -27th October in the beautiful city of Barcelona. With culture, nightlife, beaches and hundreds of excellent restaurants on tap, exhibitors and visitors alike are in for a treat. The venue is the acclaimed Fira de Barcelona Gran Via, which is host to other world-class events such as the Mobile Phone World Congress and the Salon Nautico. This year’s congress focuses on vertical markets and will be divided into six zones: energy & utilities, logistics & transport, manufacturing, technology and healthcare. They will also be able to see IoT in action, with live demonstrations and testbeds supplied by cutting-edge companies. The testbeds allow attendees to see IoT solutions working in conditions approximating those in the real world. Equally important, there will be ample chance to network with other professionals. Apart from the informal networking opportunities, the organisers have scheduled over 35 hours of planned networking events, including networking coffee breaks. For further details of what’s on, take a look at the official agenda. With such a packed agenda, delegates and visitors will need to make the most of their time at the congress. Our corporate services can take the hassle out of arranging your congress visit, leaving you free to concentrate on this innovative and important event. With years of experience in the corporate travel sector, expert local knowledge, and a single point of contact to meet your needs, Barcelona Solutions are the premier choice to support your visit. We can arrange your accommodation, transport, airport transfer and other necessities. If you’re ready to learn from world-class thought leaders at the 2016 congress, get in touch today and let us take care of the practicalities.